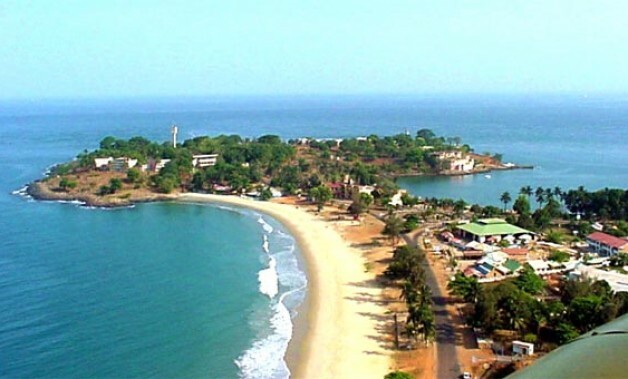 Sierra Leone’s economy, valued at just over $3 billion dollars, may not be amongst the biggest in West Africa, but has in the last two consecutive years grown faster than most countries in the sub-region. But recent GDP growth is not enough to drive the transformational change needed to create a diverse economy, which should generate the hundreds of thousands of job opportunities promised by president Koroma. Something has to change and the president knows it. The country has for far too long, become reliant upon the export of minerals and agricultural produce for its income. Iron ore exports account for the biggest jump in annual GDP growth, experienced recently. But the economy is far too small and narrow to produce any meaningful growth in employment and reduce poverty levels, now estimated at over 70% of the population. More and diverse businesses need to be created across key sectors of the economy, especially within those sectors that are either underperforming or underdeveloped – fishing, tourism, manufacturing and agro-processing. But these sectors need serious investments and entrepreneurial expertise, if they are to be transformed into high growth and high export earning ventures. The government has to change its focus from looking outward to foreign investors, to a more ambitious vision, which offers the right support and environment that will enable Sierra Leonean entrepreneurs themselves to establish growth ventures that lasts. Sierra Leone needs a national development bank, with a minimum investment capital estimated at $500 million to provide the necessary seed corn venture finance. This proposition does not come cheap, and will require strong political leadership from President Koroma, along with a corruption free culture. It also requires the creation of a strong public-private partnership, preferably with an existing development bank in the sub-region that has the necessary track record, capacity and capability to help Sierra Leone revive its ill-fated national development bank. 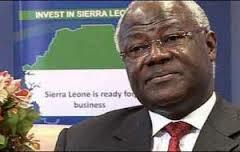 Report from State House in Freetown yesterday, says that president Koroma has started talks with the Nigerian Bank of Industry, who it is understood have expressed an interest in helping Sierra Leone achieve its ambition. State House officials say that a delegation from the Bank of Industry (BOI) in Nigeria, led by the Executive Director for Business Development – Waheed Olagunji, met with President Koroma at the State Lodge, Hill Station last week, to finalise plans for the resuscitation of the National Development Bank (NDB) Sierra Leone. President Koroma said the redevelopment of Sierra Leone’s National Development Bank will help provide medium term financial support to farmers and SMEs. This is long overdue, and can be done through public-private partnership, or government-to-government cooperation, president Koroma said. The team of Nigerian banking experts was sent to Freetown by President Goodluck Jonathan to initially assess Sierra Leone’s National Commission for Privatization (NCP), as well as to gain insight into the efforts government was making to move the privatization process forward. The team is also said to be looking at opportunities for the development of Sierra Leone’s agriculture and industrial sectors. Analysts believe that given Koroma’s warm relationship with Goodluck Jonathan, there is a strong possibility Nigeria could help Koroma’s plans for a resuscitated national development bank. According to State House, Nigeria’s Bank of Industry is the oldest, largest and most successful financial institution in Nigeria. It provides long-term financial support to various Nigerian industries, including Start-Ups, SMEs and large enterprises. Waheed Olagunji and his team also met with Sierra Leone’s minister of finance and economic development and the Governor of the Bank of Sierra Leone. 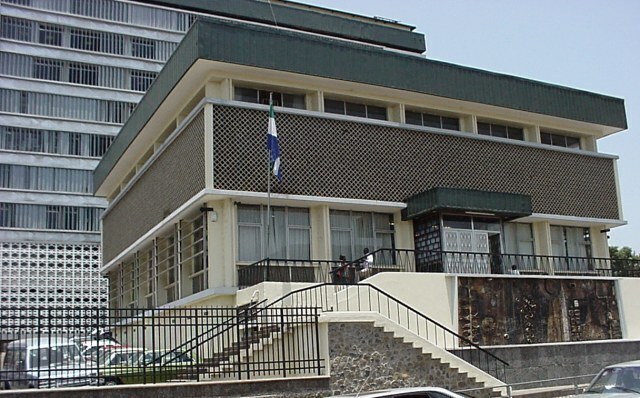 Whether Sierra Leone’s National Development Bank will be resuscitated any time soon – if at all, remains to be seen. But it seems president Koroma has realised that, reliance on a single-track economy – driven largely by iron ore exports, will not create the transformational change needed to create hundreds of thousands of jobs and propel the nation into a middle income country. Sierra Leone needs more small and medium sized businesses that will create jobs and produce wealth, if the president is to achieve his Agenda for Prosperity. There are no short-cuts to becoming a middle income nation.